During April, Busworld hosted its biennial exhibition in Izmir, Turkey. Most Irish bus and coach operators will be aware that Busworld is a Belgian based company established by local operators to organise a trade show in the western coastal city of Kortrijk. Since 1971 the event has been held every two years. 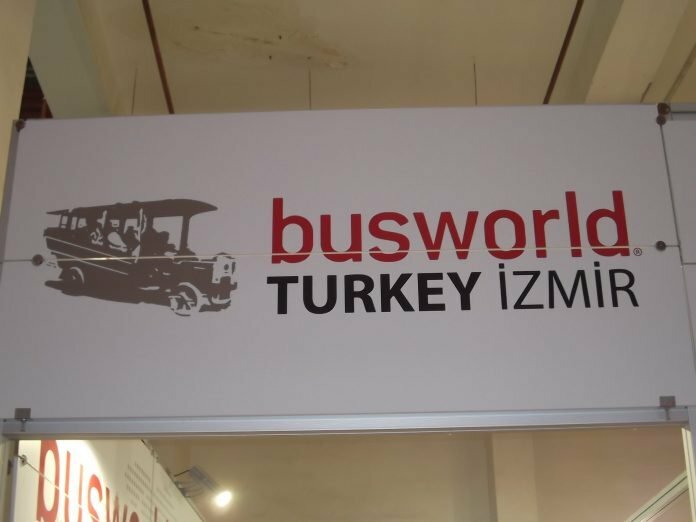 More recently Busworld has organised shows in China, India, Turkey and Russia. This year marks the seventh running of the passenger transport trade exhibition in Turkey, however up until now, it has always been held in Istanbul, but on this occasion, it was staged in Izmir. On the last occasion, Irish operators attending found the mix of European and Asian exhibitors useful and informative. Over 12,000 visitors attended and there were over 150 exhibitors presenting their products and services. There are many similarities between the Busworld event and the CTTC Coach & Bus Show in Dublin. The Board of Busworld in made up of and largely controlled by bus operators. In Izmir local bus and coach operators are involved and seminars and networking events are held during the event. Please log-on to the Busworld website for more info, www.busworld.org or www.busworld.com. Bus building in Turkey is worth 1.1 billion USD and in spite of the fact that the domestic market can be volatile, export markets remain steady. While there may have been some nervousness in moving the event from Istanbul to Izmir, the organisers need not have worried, as from when the first morning of the exhibition opened, the crowds came in huge numbers.